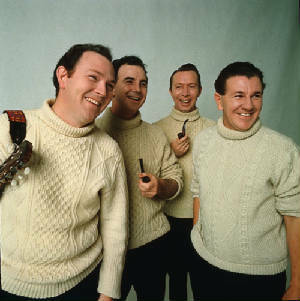 The Clancy Brothers And Tommy Makem Lyrics And Chords A history of the band and their song. If you can't find what you want here then try a different section of the site as a lot of their songs were recorded by The Dubliners and others. The lads returned to Ireland and played sell out shows throughout the country.The success continued until 1975 when the band disbanded and in all recorded more than 50 albums.Later Liam and Tommy got togeather to form Makem And Clancy which recorded several more albums. Tom died in 1980 and Paddy died in 1998, Tommy has also passed on in 2007. 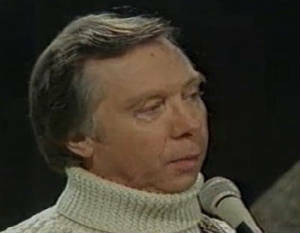 Liam passed away in 2009, the end of one of Ireland's finest ballad groups. spread, and, in 1961, they made their debut on "The Ed Sullivan Show," which, in turn, led to John Hammond, Sr. signing the foursome to Columbia Records. Serious but not somber, romantic but not sentimental, frequently irreverent but never irrelevant, the group was known for its heartfelt delivery and soaring harmonies. 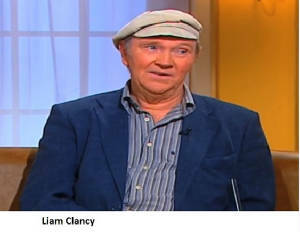 At its heart was the magnificently unforgettable voice of young Liam Clancy. Among his fans was Christy Moore, a seminal figure on Ireland's contemporary music scene, who credits Liam with turning his head from rock `n' roll to traditional material when he was 15.
workers following the Industrial Revolution. Originally written in Irish Gaelic, most probably as a tune for pipes or fiddle, "The Rocky Road To Dublin" is a true test of the singer's mettle. Liam is joined here by Luke Kelly, who was one of Ireland's most beloved singers. Songs of love and unrequited love, betrayal and familial treachery abound in traditional music. Liam does them superbly. Set to a lovely air, `Blackwater Side" is common throughout Ireland, one theory places its origin in County Wexford, where there really is a River Blackwater.Also here are the popular "Lang A-Growing,"
An anti war song written by Eric Bogle and sang by Liam. Brennan On The Moore An old trad. song from 1804 about the bold Willie Brennan who robbed people while travelling the roads of Ireland. Look At The Coffin Or as some call it ''Isn't It Grand Boys'' , great harmonies from all four. Four Green Fields Written and sang by Tommy Makem. It's all about the four provinces of Ireland with each field representing a province. Farewell To Carlingford Written by Tommy, this was a bigger hit for The Dubliners than The Clancys. Most likely the best song ever about Co. Louth. Freedom Sons Rebel Song Another one by Tommy about the 1916 rising. Gentle Annie lyrics and chords A love song written by Tommy. The Patriot Game by Dominic Behan about young Fergal O'Hanlon from Monaghan. The Rising Of The Moon I done a cover of this song myself teach guitar players how the song goes. Red Is The Rose lyrics chords An old trad. song Tommy Makem learned from his mother, this is another that I recorded myself. Will You Go Lassie Go The boys made this song what it is today, a classic. They usually played it at the end of the session and would sing the chorus over and over. We Miss You Liam A tribute to Liam whish was written by Padraig Grimes. Home From The Sea A more recent song that was written by Phil Coulter and recorded by Liam. The Jug Of Punch This is one of the first one's they ever sang as a group and was always included in their set list. The above songs are just a sample of what The Clancys recorded. There's a big cross over of materal that was also covered by The Dubliners and others. There's about 50 songs by The Clancy Brothers And Tommy Makem on the site. Have a look in the other sections if you can't find the song here.